By engaging with customers to understand how we can learn together to create a more sustainable water future, rather than by telling customers what the ‘water-wise rules’ are, the early indications are that enough customers are changing their water use behaviour. Jim Bentley MD Hunter Water. Dr Jim Bentley is sprinkling his customers with love in a new campaign to save water, encouraging residents of Newcastle and the Hunter region to think twice before turning on the tap. 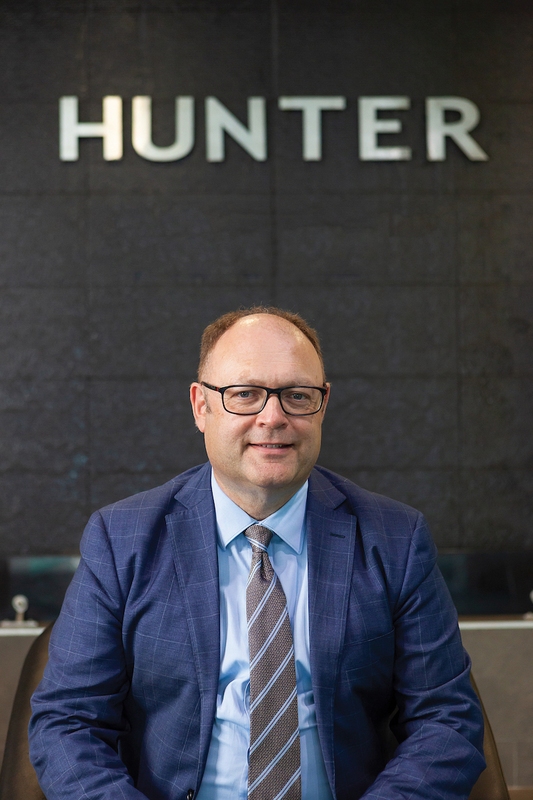 Hunter Water has challenged the traditional ways of thinking for infrastructure providers and monopoly utility businesses. 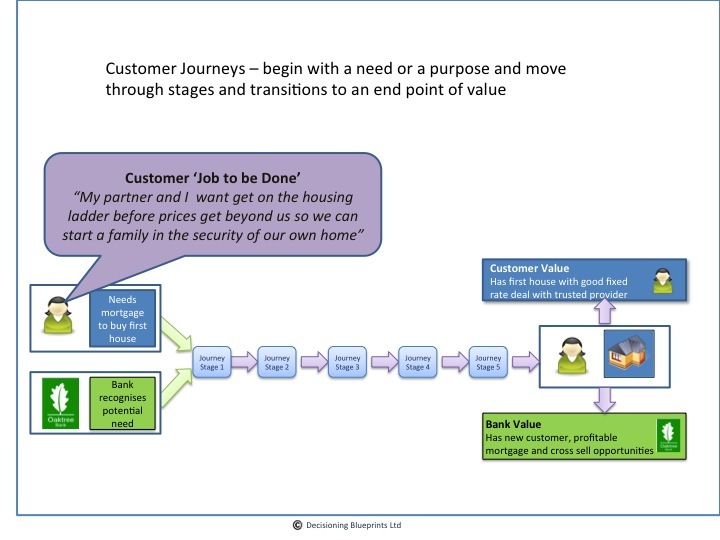 This has opened up more adaptive, incremental and innovative opportunities as we now value ‘keeping our options open’ overbuilding certainty too soon. As a result, Hunter Water has reduced the volume of water loss from their system by nearly 20% in a little over two years and embarked on a range of initiatives and engagement approaches with our community under the Love Water banner. Jim: One of the most exciting things has been to understand how we could become a learning organisation. We wanted to change the relationship we have with our customers and bring about a different kind of water future, and apply those principles to our messaging in terms of how we use water. A lot of utilities in Australia talk about water-wise rules and how you must comply with them. So, I looked at hope and optimism,belonging, curiosity, creativity, and realised that telling people what to do all the time doesn’t tick any of those boxes. I told our marketing team to go away and come back with the outline of a campaign around people’s water behaviour without mentioning rules. The result was going from Water Wise Rules to Love Water, a brand we use for events and sponsorship. It’s two blue water droplets in the shape of a heart, which sounds very twee but fundamentally is a signal to us, our community and customers that we’re all in this together. The kind of events we sponsor now are very different. Rather than sponsoring big macho things like the rugby league, we sponsor Music in the Podium at Lake Macquarie, where thousands of people from the community enjoy light music by a beautiful lake. It’s very different, less about strength and robustness and more about togetherness and belonging. The relationship we have with those stakeholders and partners has been transformational, while the message to our community is that we’re not here to tell you what to do, but we’re here to learn and build with you. It’s been amazing how this has taken off throughout our organisation in each department. If it was just a piece of marketing it would be a bit naff, but this is the very essence of how we are working with people under the Love Water banner, which all links back to those learning power principles. What is the best piece of advice you have been given or heard? To help people connect with purpose. At an organisational level, spending time understanding and communicating what we’re here for and why it matters has always paid off for me. And at an individual level, working with colleagues to help them identify their purpose and values, and how these align with the organisation’s purpose, has often proved to be very powerful. The purpose of the Symposium was to provide experienced practitioners and researchers with an opportunity to bring fresh thinking to the current challenges facing school leaders and to generate new ideas about leadership development. The Open Space Technology provided a means of capturing the collective intelligence generated by the group in response to the core question. 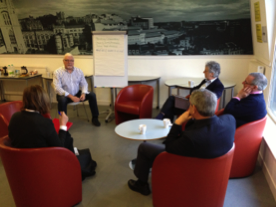 This post reports on the outcomes of this Open Space Symposium which was held in 2013. It was designed as the beginning of an ongoing conversation. What are the Core Processes which Facilitate the Purpose of School Leadership? Open Space works best w hen the work to be done is complex, the people and ideas involved are diverse, the passion for resolution and change are high, and the issues are urgent. It’s intentional self-organization and while Open Space is structured in such a way it supports, rather than blocks, the co-generation of knowledge. The Symposium catered for all of the issues that were MOST important to the participants, and each issue was addressed by those most qualified and capable of responding to it. In just under two days the most important ideas, discussion, data, recommendations, conclusions, questions for further study, and plans for immediate action were documented and collected for this report. The group was inspired by the process and elected to call itself ‘The Bristol Leadership Forum’ since this Open Space Symposium created a conversation and a sense of community which we intend to continue over time and space. The Symposium began with some shared insights from current research at the Centre for Systems Learning and Leadership in the Graduate School of Education at Bristol. The development of children, young people and adults as successful self-directed learners; the relationships between teacher learning, leadership learning, wider community learning and student learning/outcomes in supporting the development of outstanding teaching, student engagement and the deeper transformation of schools. The application of systems thinking and processes to help resolve complex problems that may block the further improvement of standards in schools, including the development of schools as learning communities, improving student progress across key transitions and evaluating the wider outcomes of schools. International research on similar issues, including Bryk’s work in networked improvement communities (Bryk 2009; Bryk, Sebring et al. 2010), the Teaching for Effective Learning Programme from South Australia (Foster 2001; Goldspink 2010) and related practitioner studies from the new Masters programme at the Graduate School of Education: the MSc in Systems Learning and Leadership. The purpose of the Symposium was to begin to rethink current models of school leadership and approaches to leadership development and, possibly, to generate ideas which reflect and interrogate a more complex, participatory paradigm of learning and leadership. It posed the question: has current thinking and practice got us as far as we can go in our efforts to raise standards in schools? We wanted to create a rich picture of the purposes and processes of school leadership, to map a complex terrain. Participants were invited to propose a session on any topic which they believed to be relevant to the Open Space Symposium. They then identified a slot on the timetable of sessions which they would lead. All participants then selected which ones they would participate in. Leaders of Open Space Sessions committed to taking notes and returning these electronically to the co-ordinators within two days of the Symposium. The sessions were ‘topped and tailed’ with plenary sessions and participants proposed changes during the process as they saw fit. The following sections report on each of these sessions, organised thematically. A second phase of thematic analysis was undertaken following a review by all contributors. The overall themes are presented in the final section, organised according to principles of systems designing. How do we develop Schools that Learn? The Why of Education – when is the right time to develop a personal philosophy of education? New Educational Landscapes – what sort of leaders do we need? How do we Create Conditions for Deeper Learning for students, teachers, staff and leaders? How does Leadership Development need to change? The following themes were identified by a thematic analysis of the contents of the Open Space Sessions. Key ideas were highlighted and abstracted from their context, coded on post it notes and collected together. 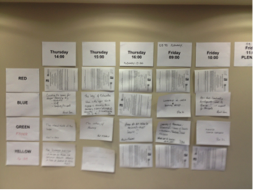 These were then organised into overall themes which cut across most or all Open Space Sessions and framed using the principles of Systems Designing from the University of Bristol Engineers – in which purpose defines the how and the what of any system (Blockley 2010). The increase in the complexity of education – structural, political, economic, personal, technical and social – means that control is an illusion for educational leaders. This means a reduction in the positional/referent power of the leader and a focus on intra and inter-personal qualities and skills, which the leader draws upon in each unique context in order to achieve a shared purpose. A command and control model of leadership will not work – except in dire emergency. There is no single formula for success which can be applied ‘from the top down’ since all educational contexts are different, and since sustainability requires participation, self-organisation and the alignment of responsibility with purpose at all levels – leaders, teachers, community and students. There are however, some disciplined design principles which leaders internalise, embody and model, and design into each system as part of the process of ongoing sustainable improvement in learning processes and outcomes for all. Design principles are essential characteristics of a learning system which are all crucial for the system to achieve its purpose, and which provide a disciplined framework for leaders to draw on, interpret and apply as they take responsibility for leading a community towards a shared purpose in a particular place and context. At the heart of these design principles is (i) a focus on deep learning – adaptation and change through meaningful feedback – at all levels of the learning community. (ii) a recognition that a learning community operates at different levels: students, teachers, leaders and community – individuals, teams, organisations and community. (iii) an understanding of dynamic process – change, lifecycle, movement or journey – at the heart of the system. These design principles are articulated here from the perspective of leaders – however they could equally apply to individual students, teachers or parents. Developing and maintaining a locally derived and shared educational purpose within a particular place is the primary task of leadership. An educational leader takes responsibility for maintaining constancy of purpose within the community, whilst recognising that they are publicly accountable. The responsibility of educational leadership extends beyond the individual school to a whole community, including children at risk of ‘falling between the cracks’ in provision, parents and the wider community. Understanding WHY we educate and aligning educational performance to shared purpose is a core educational task and needs to be integrated into teacher education from ITT through to Executive Principal development. 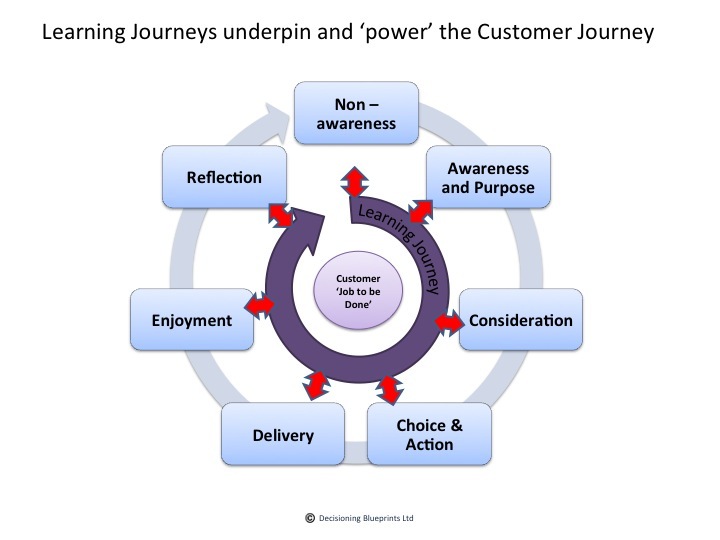 The alignment of purpose to performance is key to individual and team engagement and thus to sustainability and quality. Maintaining constancy of purpose means that leadership (not just the individual leader) needs to be continually learning – with the shared purpose providing the evaluation criteria for success. For leadership which learns, leaders and schools need a significant degree of autonomy, albeit within a common framework, so that they can adapt authentically in the light of their learning and serve the particular needs of diverse communities. Continuous organisational learning for the improvement of student learning processes and outcomes is the responsibility of leaders. An organisation that learns needs to be populated by people who learn – thus deep learning needs to be taking place at all levels of the organisation. Such learning is deep learning because it generates real change, aligning shared purpose with performance. It is authentic because it is self-organising (rather than externally imposed) and it is meaningful in the lives of the learners involved. How schools go about the core business of curriculum, assessment and teaching and learning reflects what matters more powerfully than anything else. The processes of curriculum design, assessment and pedagogy should be aligned to the learning community’s core purpose, rather than seen as an ‘add on’ which is externally imposed. There is more freedom in the current (English) curriculum framework than is often recognised. The metaphor of ‘architecture’ for deep learning is useful because it incorporates design purpose, structures, processes, aesthetics, location and technical, human and emancipatory interests. Deep learning has been described as ‘the stuff you don’t need to revise’. 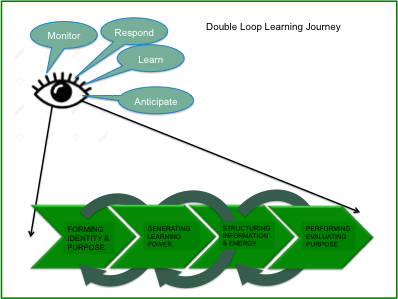 Deep learning requires an ‘architecture’ or a ‘systems design’ that recognises and is designed to enable the individual or team to identify their own purpose, to take responsibility for their own learning journey, including both their personal learning power and their knowledge co-construction, as well as identifying and achieving their negotiated learning outcome. Such learning can never be confined only to the classroom or lecture theatre – it is engaged, applied, integrated across traditional disciplines and generative in the life narrative of the learner. Traditional curricula, pedagogy and assessment technologies require some re-design if all students and teachers are to experience such learning : however this would enhance and complement, rather than replace, traditional, subject based learning. There is disciplined pedagogical knowledge and know-how which is required in order for teachers to facilitate such learning. Deep learning is an entitlement not only for students, but also for teachers and leaders. Deep learning for teachers is the engine of school improvement. There is no single formula for success in leadership because each context is different and needs to be self-organising in order to be sustainable. Therefore leaders need to be able to allow local solutions to emerge from the interactions and relationships in their contexts. These cannot be defined or controlled in advance. The implications of this are that leadership needs to be capable of understanding and rapidly evaluating a range of types of evidence, within a disciplined evaluation framework against success criteria which are aligned with the organisations shared purpose. Leadership need to be multi-lingual in terms of data – using large quantitative data sets, alongside qualitative and narrative data and experiential knowledge – in order to make decisions about quality and direction, taking into account a wider range of student outcomes than those that are easily measured and standardised across populations. Leaders also need skills of integration and synthesis, integrating the differing discourses and demands of practice, research, policy and social enterprise. Such skills include the ability harness collective intelligence, to re-present and communicate complex data and to understand the importance of patterns and relationships in data as well as the more traditional approach of measuring the impact of one variable on another. Deep listening to the ‘other’ is at the heart of this approach to leadership. Creating a self-organising learning system begins with attention to the voice of individuals and groups within the community. Deep listening creates trust because it facilitates genuine participation and enables leadership to release the talents of other members of the learning system. Deep listening should be afforded to all stakeholders – the community, the teaching team and individual students – in order to invite and generate intrinsic motivation and responsibility for change. It can be structured into the ‘learning architecture’. This includes a process of deep listening to the needs, aspirations and stories of the wider community. A self-organising learning system is contextually sensitive to the place in which it is located. Coaching is a core vehicle for deep listening, attuned to the needs of the ‘other’ which facilitates self-organisation. All of these design principles require leaders who are aware of and take responsibility for nurturing and extending their ‘inner worlds’ – including their own personal development, learning and professional vision and values commitments. This is the source of their energy for leadership in self-organising systems – rather than the external worlds of micro or macro politics. It allows leadership to be self-organising and provides an important reference point in times of complexity, ambiguity and change. Leaders need to integrate their internal and external worlds, as authentic, reflective individuals and teams, leading from the ‘inside out’. Centred and calm leaders are open to learning – and model this principle for teachers and students. Stress and fear generate blame and close down deep learning, even though they also lead to compliance. A focus on the personal qualities of leaders – rather than positional power referents – is thus key within this model of leadership, and suggests the idea of ‘virtues for leadership’ – habitual ways of behaving which are necessary for achieving a particular ‘good’ purpose. Perhaps the most key virtue is ‘humility’ – the awareness that, quite often, we simply don’t know. Trust is a core resource which is necessary for the successful deployment of all of these ‘design principles’. It is challenging to define. It is about high levels of benevolence and competence on the part of leadership and the deep knowledge in all, that their relationships can ‘withstand the challenges of risk, uncertainty, difference and inequality’ (Bond 2007)’. At its most basic level, it is the awareness of each member of a learning community ‘that I am OK it’s OK for me to be here’. High levels of trust is like oxygen for athletes – the more we have the better our performance. The Open Space Symposium was designed to offer a space for experienced practitioners and researchers to bring fresh thinking to the current challenges of educational leaders and to generate new ways of articulating leadership in this context. There are of course, as many ways of defining leadership as there are gurus, and our intention was not to compete with or replace any existing models – rather to recognise the radically changing world in which we educate and seek to articulate a narrative for leadership which is inclusive and capable of bringing together the best of what we know – whilst challenging worldviews which no longer serve us. Another key purpose was to re-write the worn out scripts of training and development for leadership, in a way which is more consonant with what we know and are seeking to achieve in terms of deep learning and engagement. There are many implications of this document for leadership development which have yet to be articulated and enacted.